POWER DISTRIBUTION CENTER Rentals Ft. Collins CO, Where to Rent POWER DISTRIBUTION CENTER in Ft. Collins, Wellington, Greeley, LaPorte, Loveland, Windsor CO and all of Northern Colorado. sometimes called a spider box. this box is made to connect a generator to multiple power cords. INCLUDES 6 - 20 AMP, GFI PROTECTED OUTLETS. 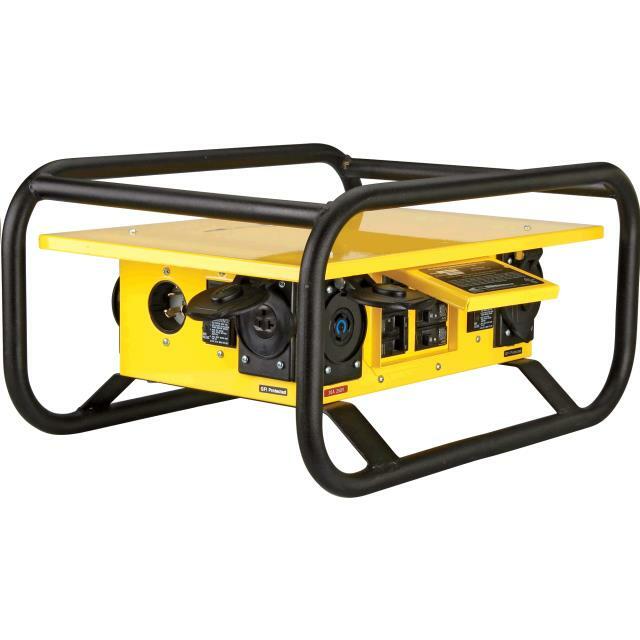 to connect to a large generator, 10kw or more, with a 50 amp circuit. * Please call us for any questions on our power distribution center rentals in Fort Collins, Wellington, Greeley, LaPorte, Loveland, Windsor CO and all of Northern Colorado.